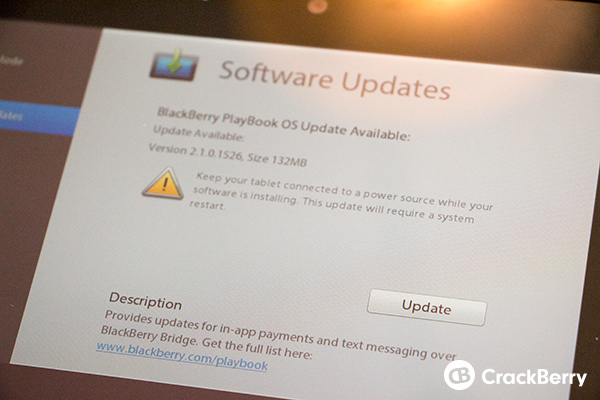 While it's not quite the BlackBerry 10 update we were hoping for, the BlackBerry PlayBook has received a small OS update today. The new version is 2.1.0.1526 and brings along a few minor updates and fixes. Inlcuded are some browser improvements, audio boost, BlackBerry World rebranding, in-app payment support, SMS over bridge and more. You should see the update available now, but if not, go to your settings and check manually. When you get it up and running be sure to hit the forums and let us know how it's working for you.